What does your favorite fragrance say about your personality? According to Toronto-based fragrance expert, Marian Bendeth, it can say a lot. There is extensive research on the relationship between scent preferences and personality traits, therefore it is quite a fascinating topic. Please see the full article in Lifewise Beauty. helg: This is interesting, but not exactly the pinnacle of originality in thinking. I mean it would seem kinda obvious that perfume categories reflect different attributes, no? BoisdeJasmin: Well, perhaps, the link between scents and personality attributes is obvious, but decoding what it might be is hardly so. I think that even if you have preferences spanning the olfactory spectrum, you still probably prefer some group to all others. I have always gravitated to white florals, for instance, even though I love fragrances from all groups. Yes, Helg, many of my clients wear and adore multple fragrance classifications thereby reflecting one or multiple facets of their personalities. All my research is based on personalized fragrance consultations with different minorities, nationalities, cultures and age differences from around the world over a twenty-threeyear time span. What is fascinating to note, is that these women and men all have similar tastes and personality traits. Each classification and fragrance represents one part of their personalities and commonalities. 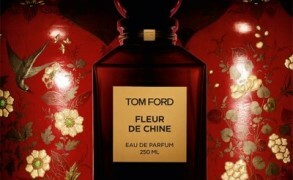 The majority of fragrance consumers though, tend to stick with one or two classifications in their purchases.